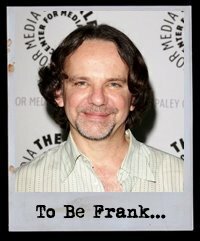 Back To Frank Black's chat to Frank Spotnitz is one of our earlier podcasts and one of our bests - thanks to Franks honesty and openness to those fundamental Millennium questions. This is a re-release, but we are recording at exclusive interview this weekend with some big podcast plans for the future! Watch this space! Some good stuff to come! This is available on our Iphone App and for the FIRST time, it is available on the Android application platform - the small fee incurred for these apps goes directly towards running the campaign. Occasional features and downloads are part of the service! In this podcast there is a bonus commentary from myself on this episode exclusive to app users! 0 Responses to "Spotnitz podcast re-release (available on iPhone AND Android Apps!)"